does anyone think this is funny? it would b better if the cow was black. its not really all that awkward. 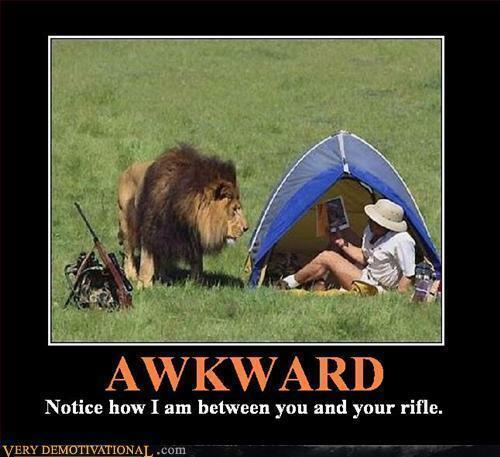 i would be terrified because i dont have my gewehr but if i had it i wouldnt have the nerve to shoot anyway so... i guess it is awkward! Not at all. I don't believe in the term "emo", and anyone who comes out and openly says they are "emo" and they hurt themselves is just lying about it. Pain is pain, and it's not something Du admit to the world for publicity. Nearly all of my Friends do cut themselves because they hate the way they look, and come to school and begin to sob in my arms. 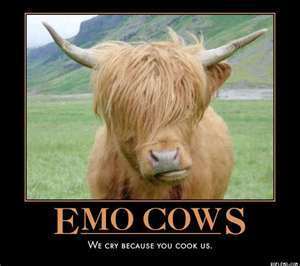 People who joke about the "emo kids" are cruel, and I have no respect for them. Thats why I sagte "not at all". wow, u just sagte a whole other perspective of things, and i agree with it!!! We cry because Du cook us. not at all. being Emo is really serious. my Friends boo is Emo and even though ive only heard about him and seen pics, Von the look of things its not something to joke about. I have a hemd, shirt that says "Don't Get Emo" so obviously yes.